Too few sector leaders are challenging themselves to put organisational ego aside and focus on whether they are most effectively achieving their mission, writes CEO of Save the Children Australia Paul Ronalds. Earlier this year, Save the Children merged with another Not for Profit, called Good Beginnings. Together, Save the Children and Good Beginnings now provide education and other services in more than 150 locations in Australia to some of this country’s most disadvantaged children. The merger has given us access to the best of each organisation. We fashioned the merger around a shared “bold goal” of ensuring all Australian children are “school ready”. And through the merger we’ve broadened our reach, deepened our level or programing expertise, and increased our policy influence with government and our attractiveness to many donors. It is also generating significant financial savings by leveraging the scale of Save the Children’s back office. These savings are allowing us to reach more clients and improve program quality. I was asked recently what was the best thing about the merger and my reply was that it happened at all. There are around 600,000 Not for Profits in Australia, and more than 50,000 charities. While I am not suggesting that bigger is always better, I am in no doubt that there are enormous opportunities for improved efficiency and effectiveness in the sector. This opportunity exists at a time when the pressure on charities couldn’t be greater. Demand for services remains extraordinarily high. For example, Save the Children is currently responding to around 60 humanitarian responses in 50 countries. Globally, there are more people displaced or seeking refuge than at any time since the end of World War II. Domestically, more than one million Australians live in poverty, despite more than two decades of uninterrupted economic growth. Governments continue to out-source social services but are doing so in new ways. Government funding is moving from one based on block grants to consumer-directed funding, the most high profile example being the National Disability Insurance Scheme. This requires new skills and expensive new IT systems. On the one hand, the sector has never been larger, employed more people or had responsibility for delivering more services. But on the other, this growth has been accompanied by increasing, and sometimes conflicting, pressures. We are simultaneously being called on to professionalise, become more commercial, respond to rapid technological change, become more accountable and improve financial sustainability. While once upon a time good intentions were good enough, stakeholders rightly demand that charities are able to clearly demonstrate their impact and value for money. In my view, too few sector leaders are challenging themselves to put organisational ego aside and develop structures that are judged on whether they are most effectively achieving their mission. I also believe that too few donors are willing to fund the type of organisational capacity building required to support the rapid change required in the sector. Most donors see such support as merely an “administration cost” that reduces the funds available to be spent on the Not for Profit’s immediate objectives. This has led to systemic underinvestment in organisational capability, precisely at the point of the greatest strategic change. The Not for Profit sector is seeking to solve some of society’s most challenging problems: global poverty, Indigenous disadvantage, the transition to cleaner forms of energy, the refugee crisis. To do so, it needs organisations that are able to flourish in today’s fast moving, technologically driven environment. This won’t be achieved by business as usual. Mergers and organisational re-structures must be on the table. And we need government and philanthropy to step up and support the organisational capacity building that will make today’s charities fit for the future. 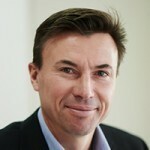 About the author: Paul Ronalds is Save the Children Australia’s Chief Executive Officer. Prior to joining the organisation in July 2013, Ronalds was First Assistant Secretary responsible for the Office of Work and Family in the Department of Prime Minister and Cabinet providing advice to the Prime Minister on a broad range of social and economic policies designed to assist families and communities. In the NGO sector, he worked for World Vision Australia as Deputy Chief Executive Officer and Director of Strategy.